Royston Cartoons: Surely you jest? 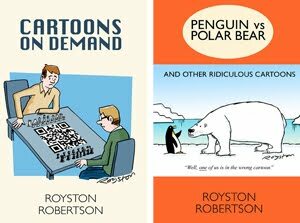 Purely for fun, I’ve had a section on my cartoon website for some years now called Other Roystons, with links to other people with my less-than-common firstname and to websites for towns and villages called Royston – of which there are many, mainly in the UK and North America. 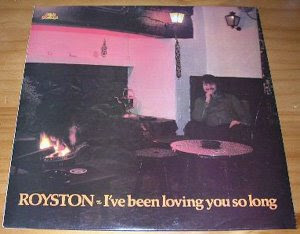 As a result I get occasional emails from Roystons from all over the world, and from people who live in Roystons! 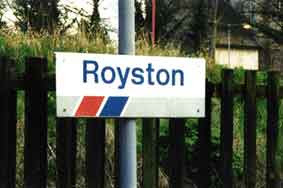 One said, tongue firmly in cheek (I hope) “I wept with joy to find others with this fine name ... you have given my life new meaning.” Another person sent me a photo of a puppy called Royston, and then another one when it grew up. But this month I got the best one yet: a gentleman from Lynchburg, Virginia, called Royston Jester. What a great name that would be for a cartoonist. And it's Royston Jester IV, in fact. It's also ironic because I am editor of the monthly newsletter of the Cartoonists' Club which is called ... The Jester.